These lambs are made with a full wooden base. 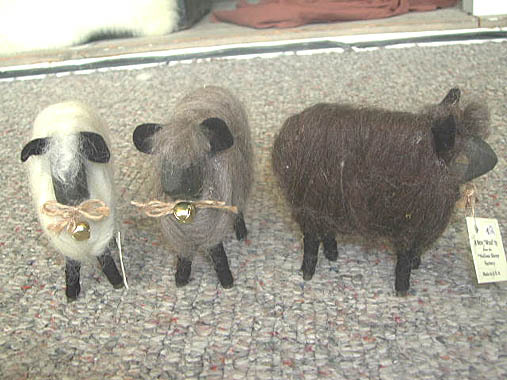 The small sheep are made with wool rovings. These items are on our "best seller" list.